Seemingly isolated in the eastern Mediterranean, Cyprus has been at the cockpit of western history for thousands of years, notably during the medieval crusades, when it acted as a launch pad for the crusaders. These days crusades are led by the waves of tourists who arrive to enjoy the popular seaside resorts, but inland a few kilometres, an older World prevails. When you go hiking in Cyprus, discover sleepy villages, farms and forests with fabled mountain views. 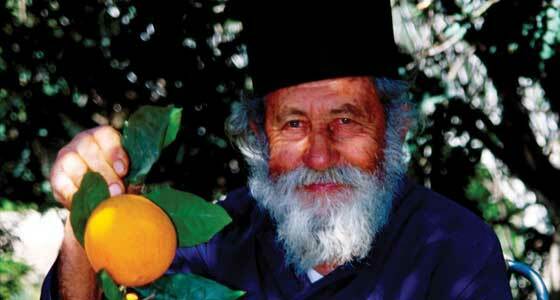 You will find in this a natural, unhurried people who are proud of their ancient associations. 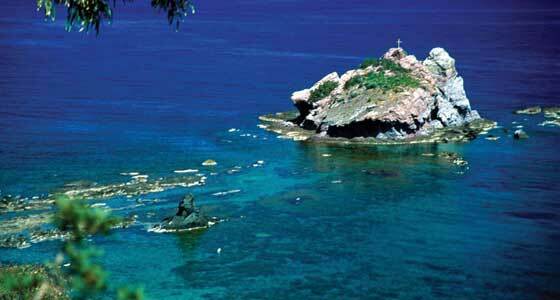 Legend has it that Aphrodite, the goddess of love, brought her lover Adonis to the beautiful Akamas peninsula. When walking in Cyprus, you get to experience the land of the Greek gods. Cyprus is split three ways: the northern part of the island is under Turkish control, the south is Greek-speaking, Orthodox Christian, while Britain, formerly the colonial power, retains two large ‘sovereign base areas’ in the south. The spring season (March to early May) are the best time for walking as the temperature is more agreeable and for flower lovers there are many representatives of the orchid family to be found. For birdwatchers, April and October see migratory birds passing through, so this may be your chosen time to go hiking in Cyprus. Winter walking in Cyprus (Jan-Mar, Nov-Dec) is equally beautiful with cooler mild temperatures if escaping the main European winter or the heat of the Southern Hemisphere Summer. 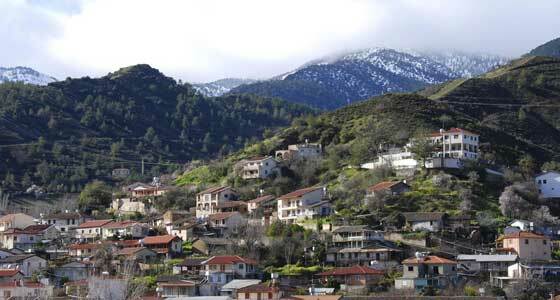 We focus our walking in the beautiful Troodos Mountains and on the Akamas Peninsula. Your walks will provide a mix of rugged landscapes and spectacular scenery along with cultural visits and interaction. These are diverse hiking days through forests, valleys and along the coast.